Yola: Add LiveChat to your Yola website! Start engaging your Yola website visitors using live chat conversations. Install LiveChat on your Yola website, customize your chat window and reach out to users with automated greeting messages. 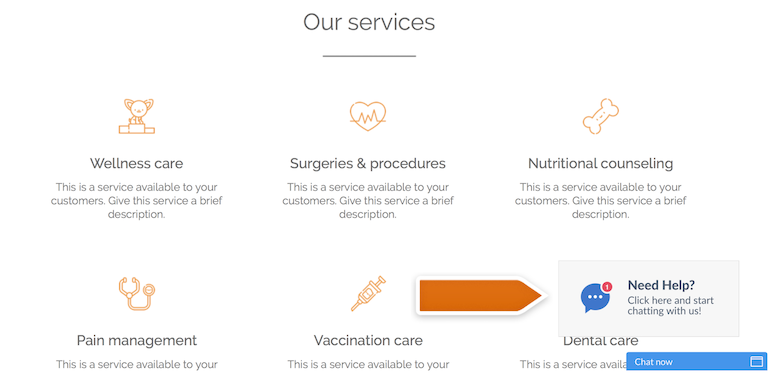 Log in to your Yola account and start editing your website. 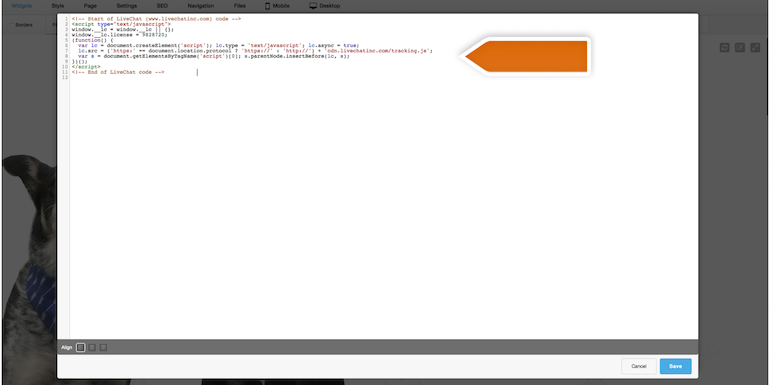 Select HTML widget, drag and drop it to your website. 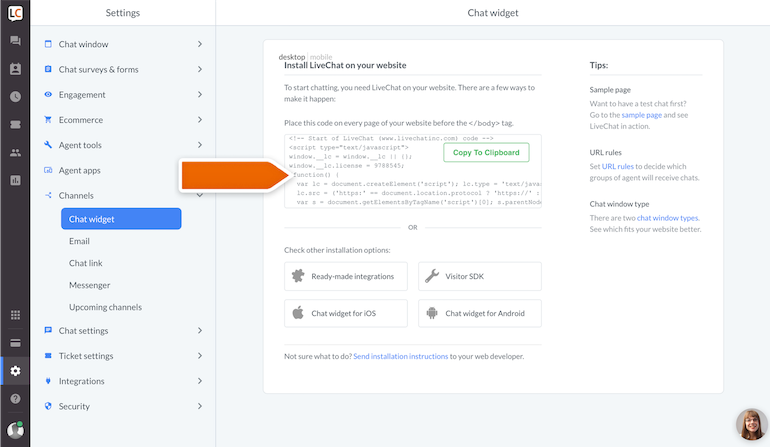 Paste the LiveChat code (CMD+V for Mac or CTRL+V for Windows) and click Save. 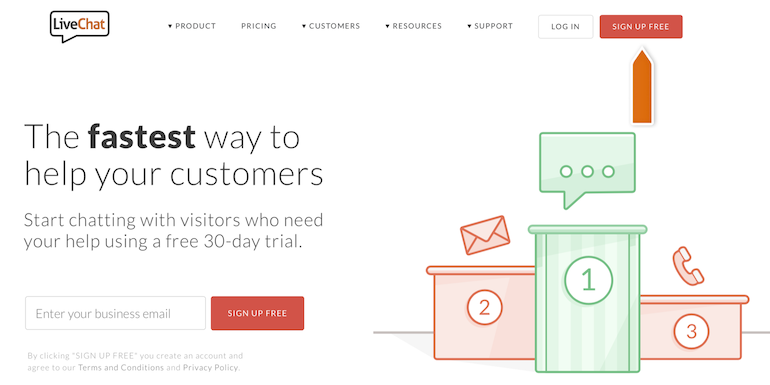 Start using LiveChat to communicate with your Yola website’s visitors. Done! You have just installed LiveChat on your Yola website. To start chatting with your page visitors, login to the LiveChat web app or download a dedicated desktop application. Now, you can set up automated messages to greet visitors on your website and provide outstanding customer support.